2006 Ford Econoline E-450 CUTAWAY, 6.0L V8 OHV 32V TURBO DIESEL. Runs and drives good , Fleet maintained, Good Tires, Everything works. 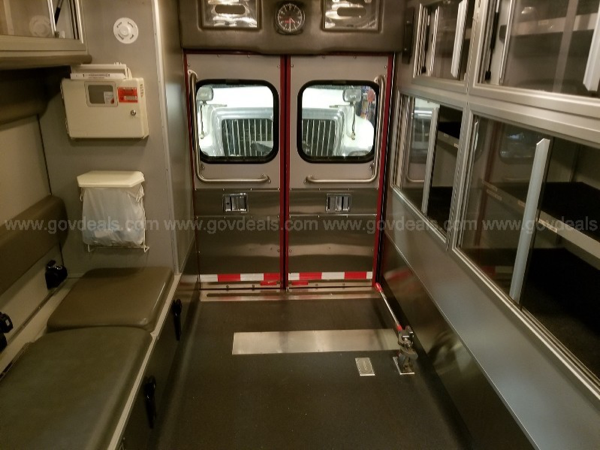 This entry was posted on March 11, 2019, 7:00 AM and is filed under Ambulance for sale. You can follow any responses to this entry through RSS 2.0. You can leave a response, or trackback from your own site. I used to work on those motors. They (the 6.0) were prone to oil pump failure and then later EGR cooler failure. Then Ford gave us new programming for the computers and that didn’t work all that well either. I don’t know anyone that “loved” them. If they did the EGR delete then they were a little better. It’s a light duty diesel engine. You’ll never get an additional 500,000 miles out of it, especially the junk 6.0. They’re not built for that. A heavy duty diesel….half a million easy. A Ford (oops my bad Navistar)7.3? You might do pretty well with. A great bullet proof engine. 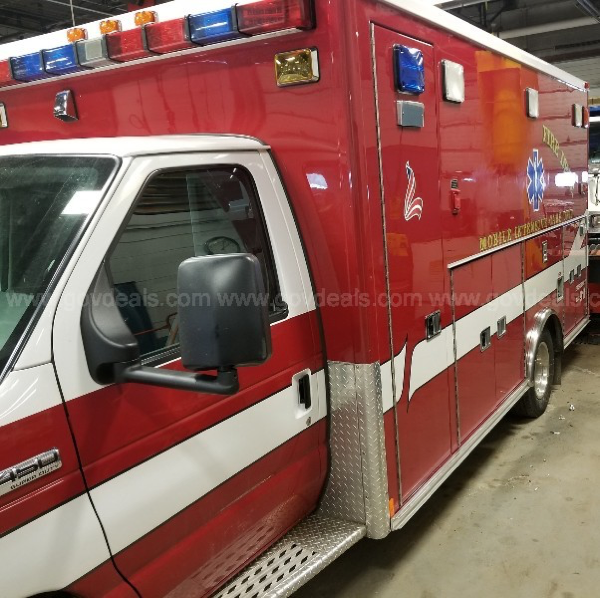 With Condell hospital in town, a moderate call volume and their maint program this is probbably in good shape with only 60k mi on a 12 year old Ambo … if bids dont soar too far from $8k. Be great for a contractor.